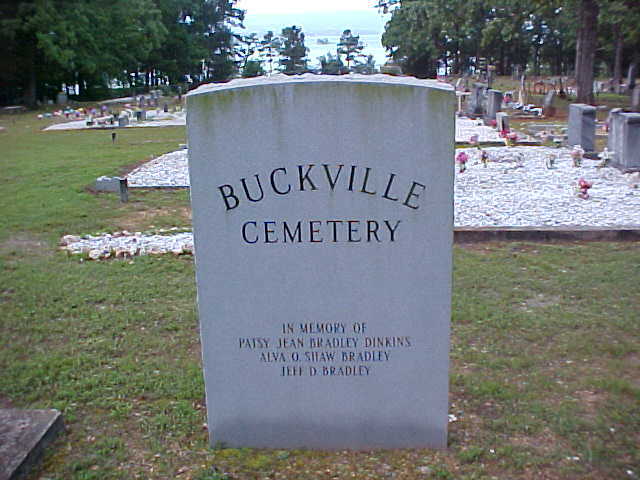 Buckville Cemetery is located on the edge of Lake Ouachita in the northern part of Garland Co., AR. An annual homecoming and decoration of graves is held every 2nd Sunday in June. 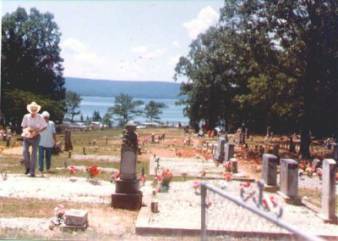 The homeplaces of most of the people buried here lies under the Ouachita that took them when the lake was formed in the 1950’s. dead end. You will see the church and cemetery in view.